Christchurch is the biggest city on New Zealand′s south island and the main portal for international visitors. You can go online and reserve your motorhome or campervan rental before you travel, then pick up the keys from your Christchurch motorhome rental, campervan and recreational vehicle (RV) agent. You can choose between international motohome rentals companies Apollo Campervans, Maui Motorhomes and Britz Campers; as well as a large number of smaller Christchurch campervan hire companies. You can pre-book your campgrounds and holiday parks in New Zealand online before your holiday. You can either pre-book your camp sites to a set itinerary; or pre-purchase open dated vouchers for New Zealand Holiday Parks and campgrounds, that you can use whilst you journey through New Zealand. The city is recovering from the massive earthquake in 2011 and the Lonely Planet has done a great job in putting together a new guidebook for the so-called “renaissance” of the city. Many of the architectural highlights have been damaged but are still worth a visit. The city also hosts many museums and galleries, as well as botanical gardens, nightlife, shopping, eating and a general air of chilled out New Zealand. Read up on the rules of the road, then get behind the wheel of your motorhome rental and head out of the city into the stunning countryside of the Canterbury region. New Zealand is chock full of natural sights, glaciers, mountains, harbours and sea life. The whole island offers natural geothermal springs and spas. You can choose to get adventurous with bungy jumping or mountain biking; take a more relaxing hike or sample some of the renowned vineyards in the region. The south of the region is no less fantastical. Continue to enjoy culinary delights and fine wines. Take a picnic on a walk into Talbot Forest. On the drive south to the university city of Dunedin and the wildlife attractions of the Otago Peninsula, visit Temuka near Timaru to see the pottery. No matter where you take your hire campervan, you are sure to meet with soaring peaks and endless vistas. Mount Cook National Park holds the country’s highest mountain and allows you to experience glacier walking. Fiordland National Park and magnificent Milford Sound are not to be missed. 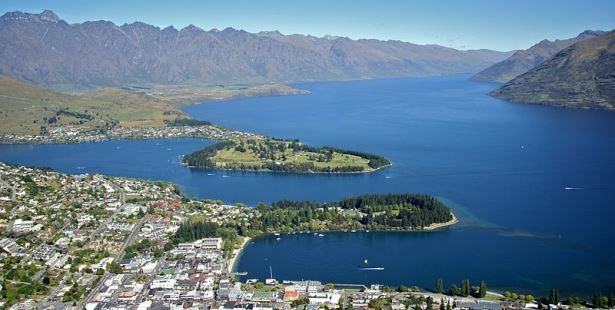 These are easily reached by campervan rental or motorhome hire from Queenstown, the adventure capital of New Zealand. 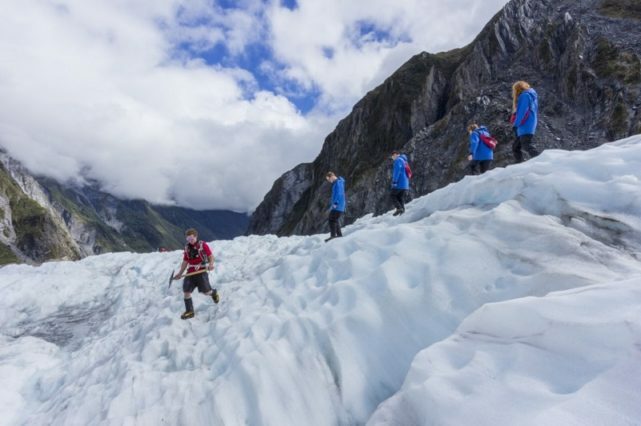 Heading north from Queenstown, you can drive up the West Coast to Fox Glacier and Franz Josef Glacier; and take a guided walk or scenic helicopter flight on to the glacier. You will hardly be able to fit all that you want to do into a short holiday; but don’t worry you’re sure to come back! When planning your route, remember that New Zealand roads are known for being narrow and windy, so overestimate your travel time and make sure the driver gets enough rest. Return your RV rentals to your Christchurch motorhome rental and campervan hire agent.